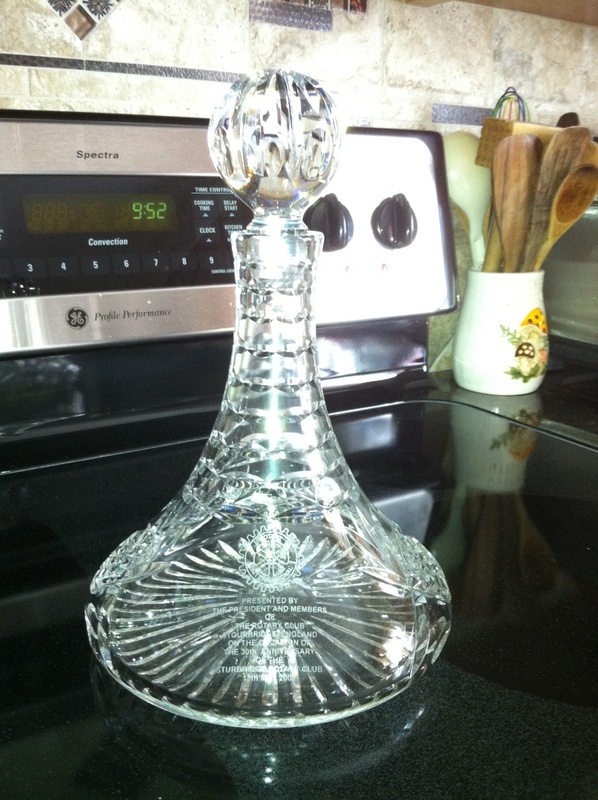 This is the first decanter gifted to Sturbridge in 1988; made by Stuart Crystal in Stourbridge. 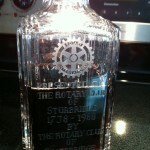 This was the first decanter (close up) gifted to Sturbridge in 1988, made by Stuart Crystal in Stourbridge. 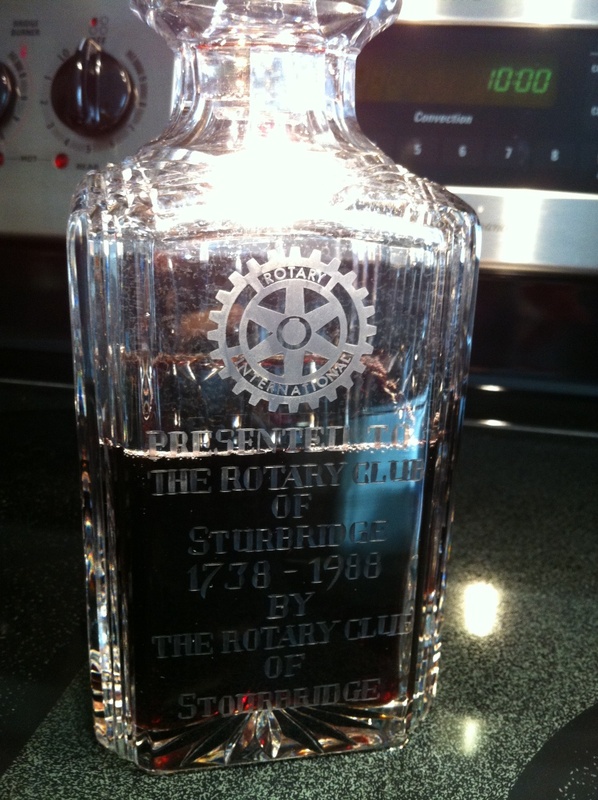 Paul Revere Bowl gifted to Stourbridge in 1988. 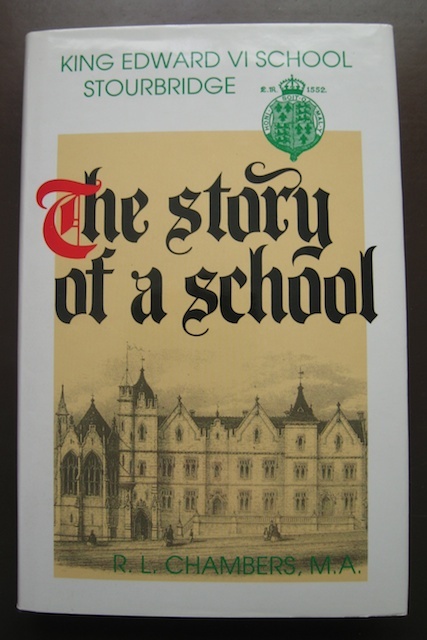 This book was a personal gift to Klaus Hachfeld (US) in 1989. 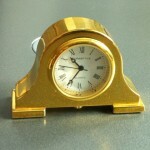 This book was a personal gift to Klaus Hachfeld (US) in 1989. 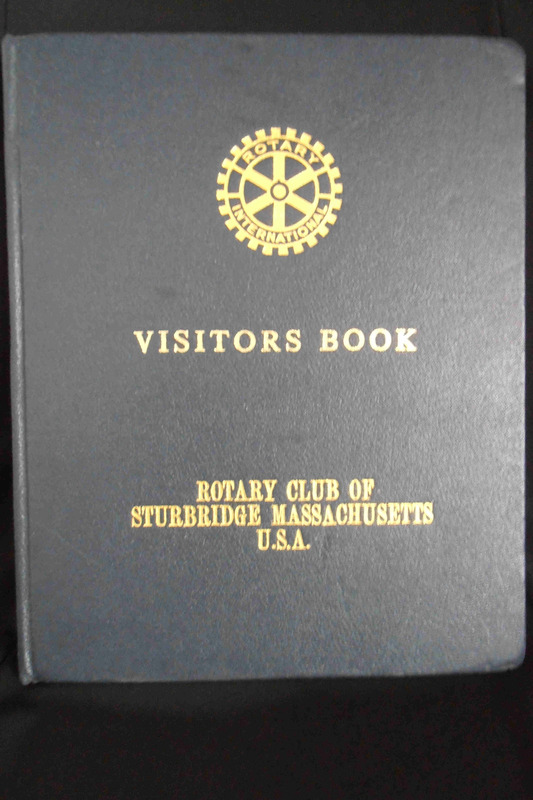 Inside cover shown. 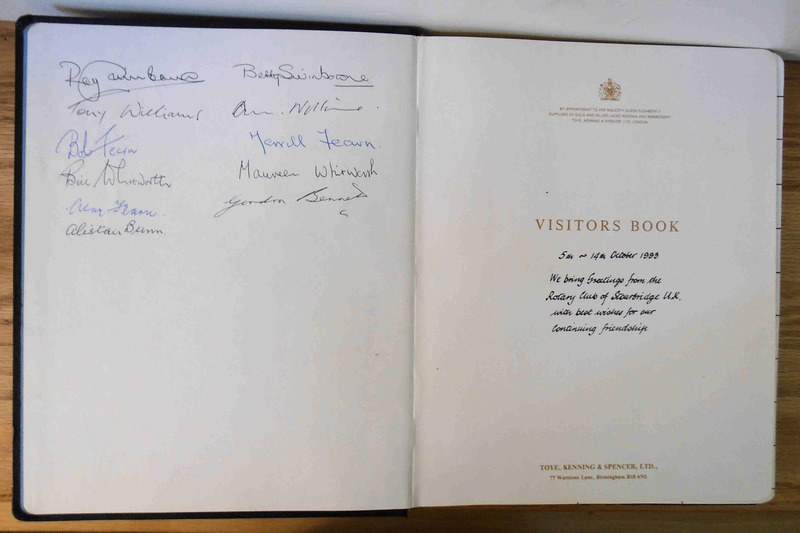 Gold Embossed Visitors Book gifted to Sturbridge with signatures of 11 Stourbridge visitors – 1993. 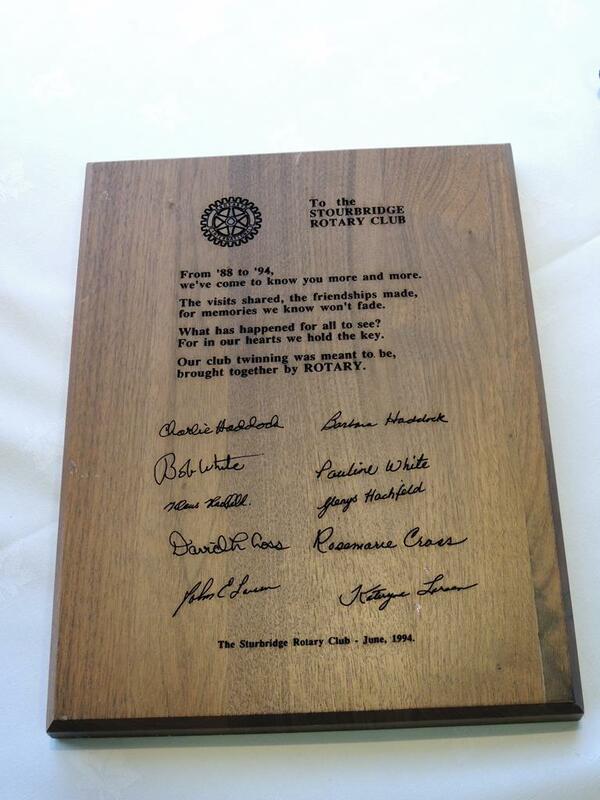 Plaque with poem and signatures gifted to Stourbridge in 1994. 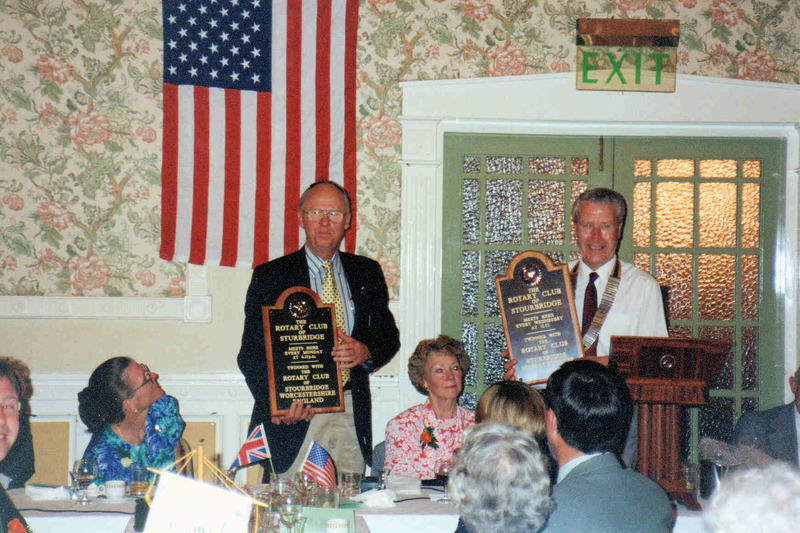 Sturbridge President John Larsen and Stourbridge President Roy Swinbourne with Twinning Plaques presented in Stourbridge in 1994. The plaques are hung at our respective meeting sites. 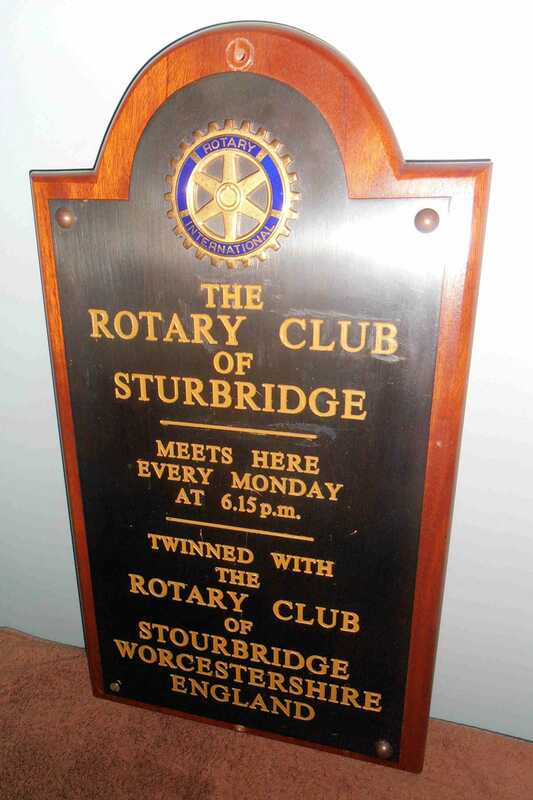 Close-up of Twinning Plaque gifted to Sturbridge in 1994. 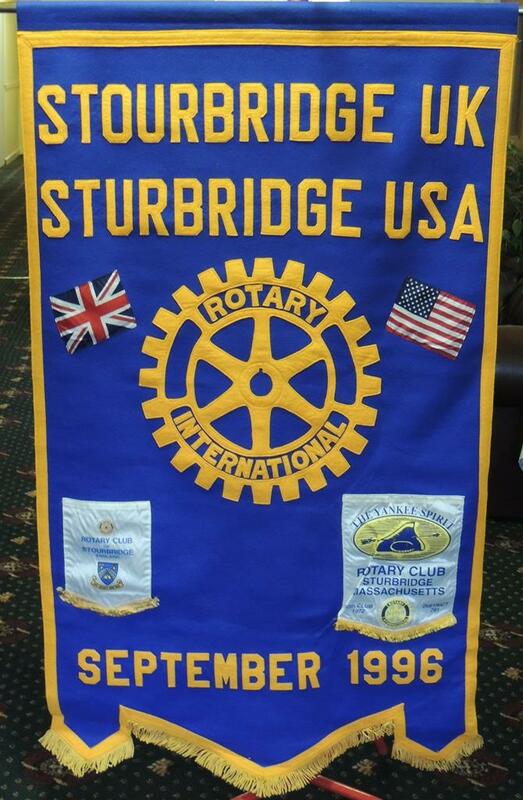 Twinning Club Banner gifted to Stourbridge in 1996. 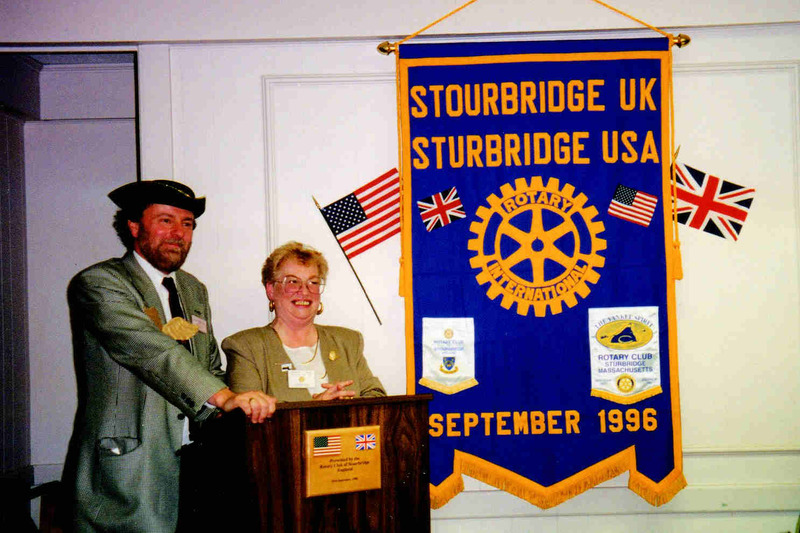 Stourbridge President David Hickman and Sturbridge President Beverly Gray at podium in Sturbridge. 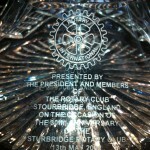 The podium and plaque on the front of the podium were gifts from Stourbridge in 1996. 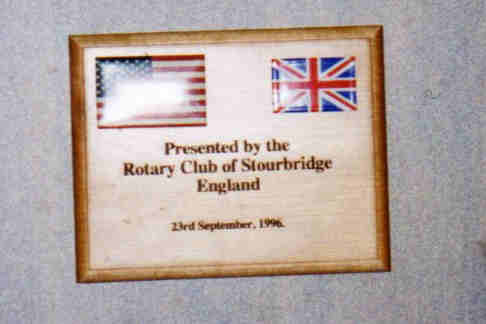 Close-up of podium plaque – the podium and plaque were gifts from Stourbridge in 1996. 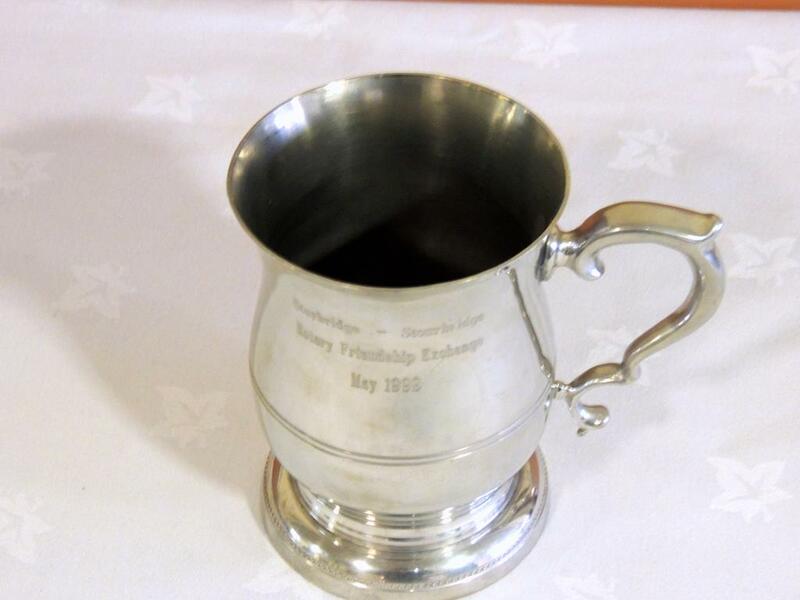 Presidents Pewter Tankard gifted to Stourbridge in 1999. 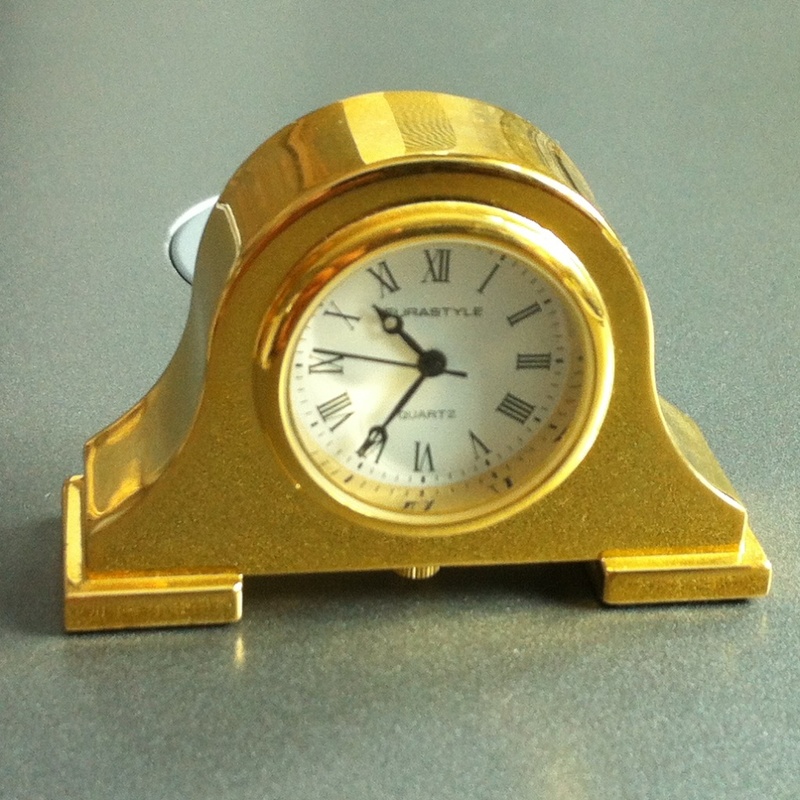 Each Sturbridge couple that visited in 1999 received a miniature mantelpiece clock. 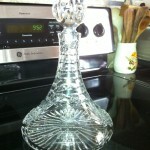 Ships Decanter, gifted to Sturbridge in 2002. 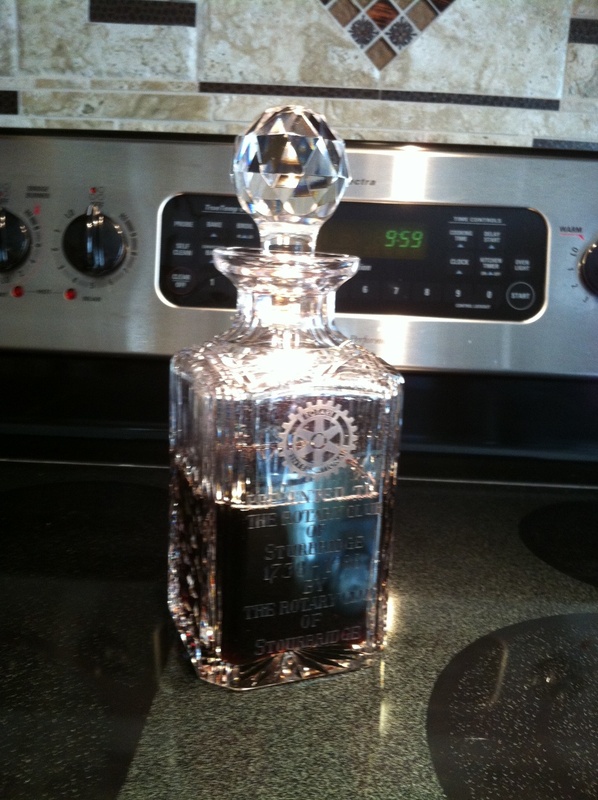 Close-up of engraving on the Ships Decanter – 2002. 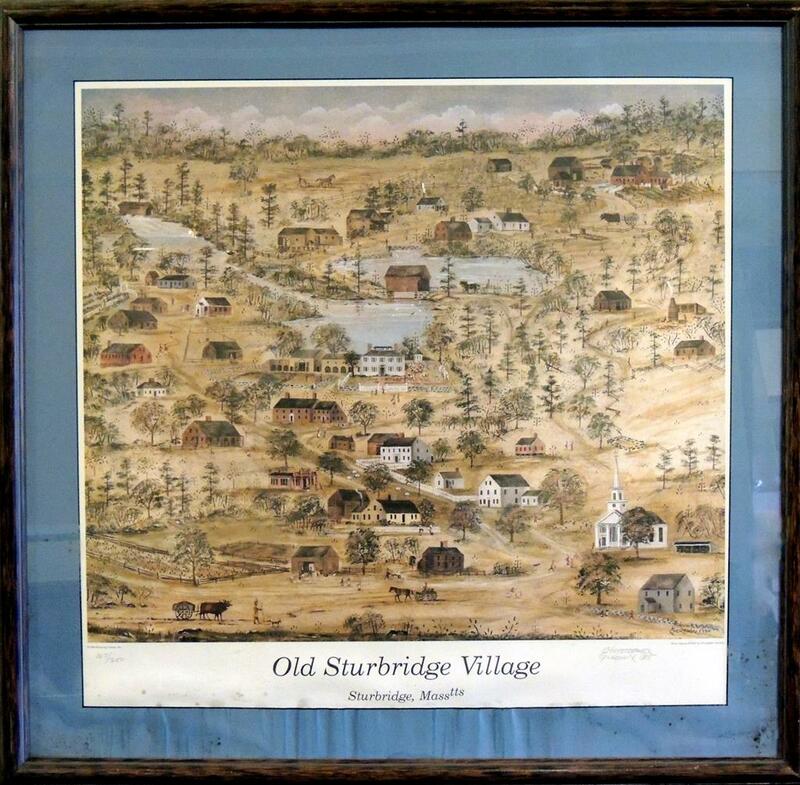 Framed print of Old Sturbridge Village Map gifted to Stourbridge in 2002. 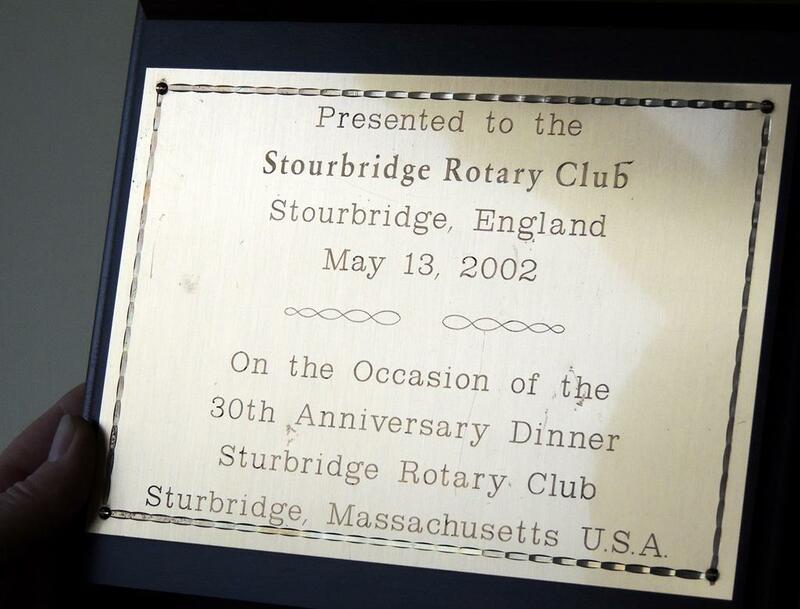 A plaque gifted to Stourbridge in honor of their visit to help celebrate our Club’s 30th Anniversary in 2002. 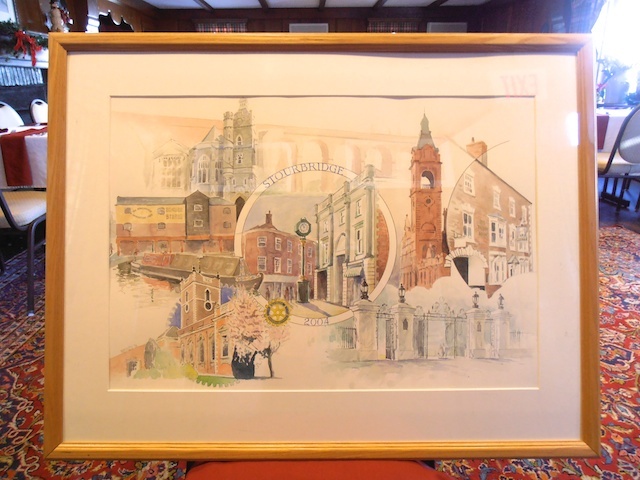 A framed picture of Stourbridge, UK – gifted to Sturbridge Rotary in 2004. 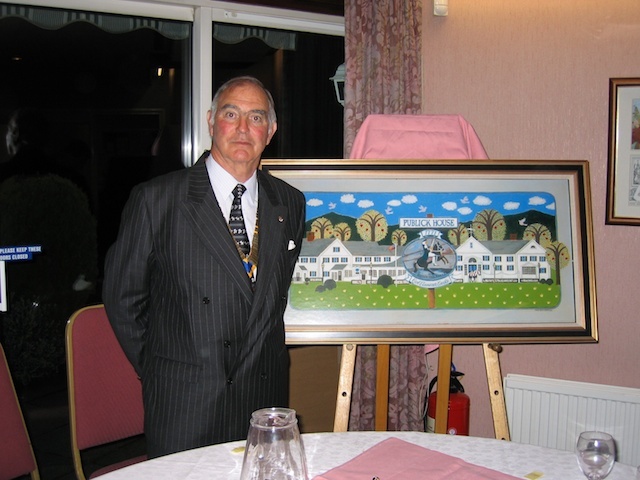 Framed picture of the Publick House – gifted to Stourbridge Rotary in 2004. President Mike McConville (UK) accepting. 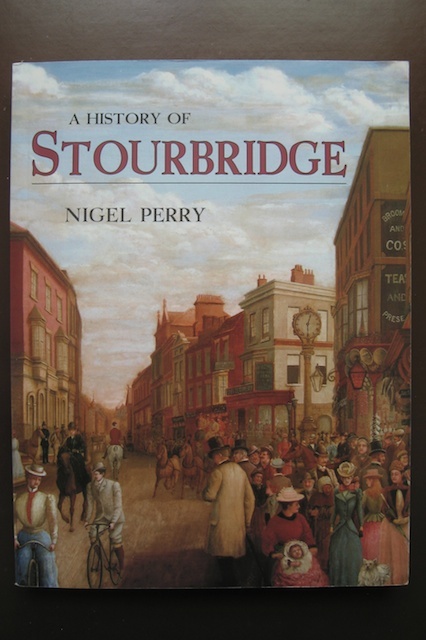 “A History of Stourbridge” Book – gifted to Sturbridge in 2010. 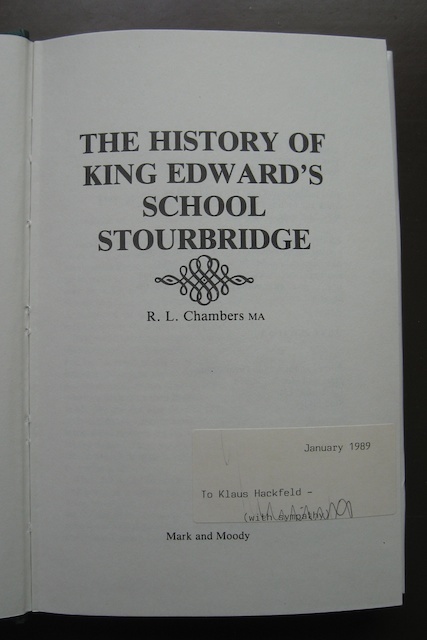 Author’s signature in Book – gifted to Sturbridge in 2010. 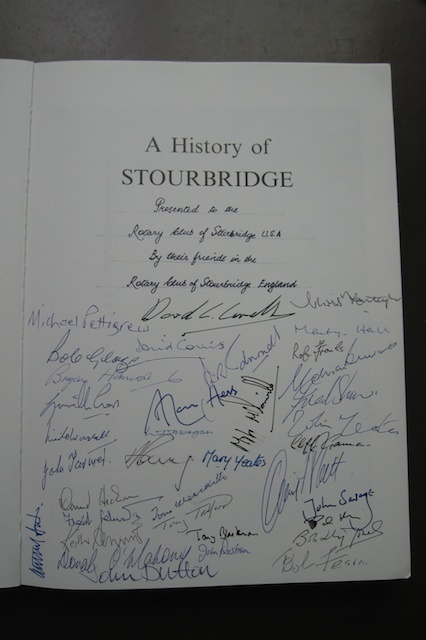 Stourbridge Rotarians’ signatures in “A History of Stourbridge” Book – gifted to Sturbridge in 2010. 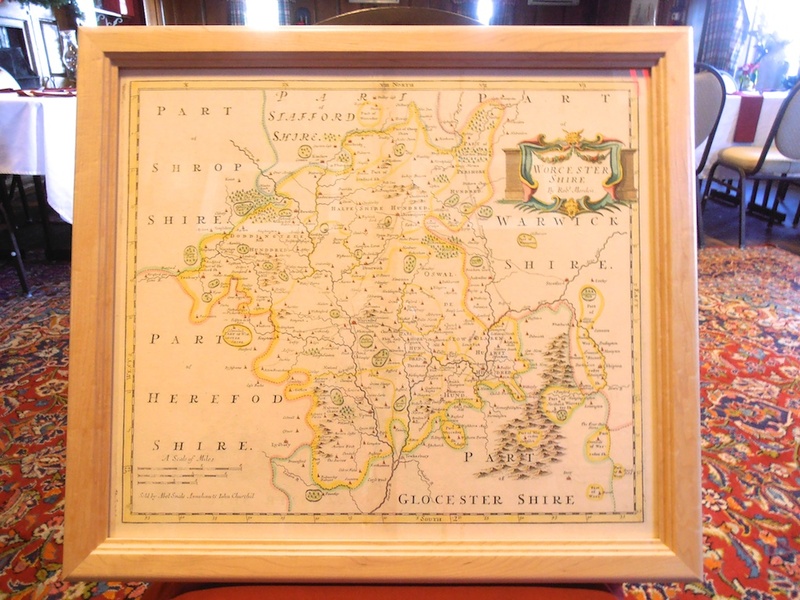 A 1720 map of Worcester County in the UK gifted to Sturbridge in 2011. 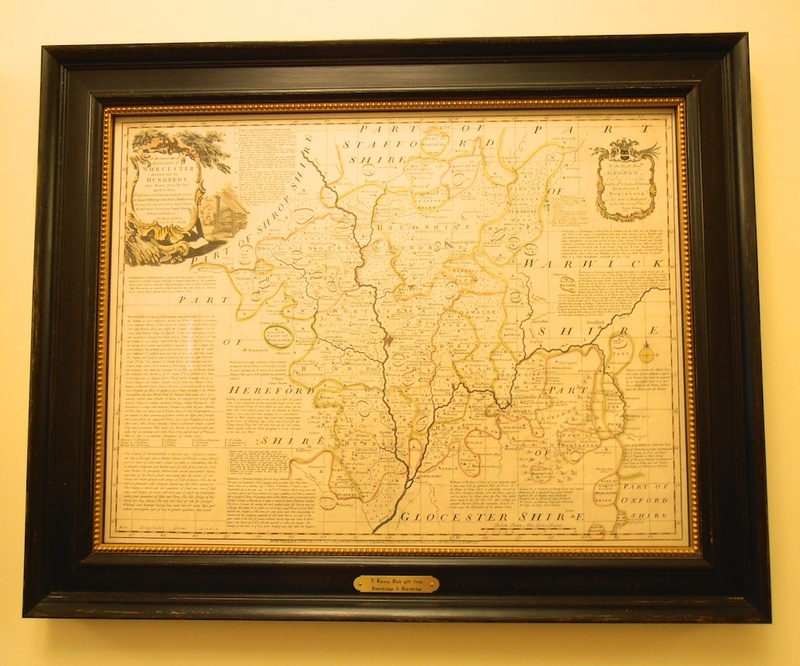 A 1756 map of Worcester County in the UK gifted to Sturbridge in 2011. 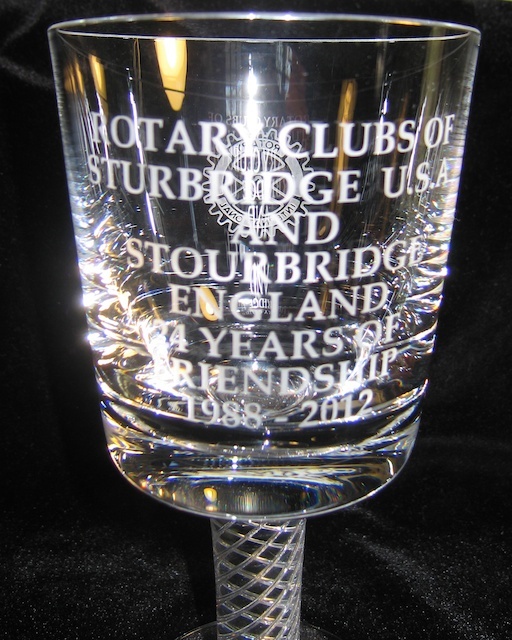 Stuart Crystal Goblet – gift from Stourbridge – 2012. 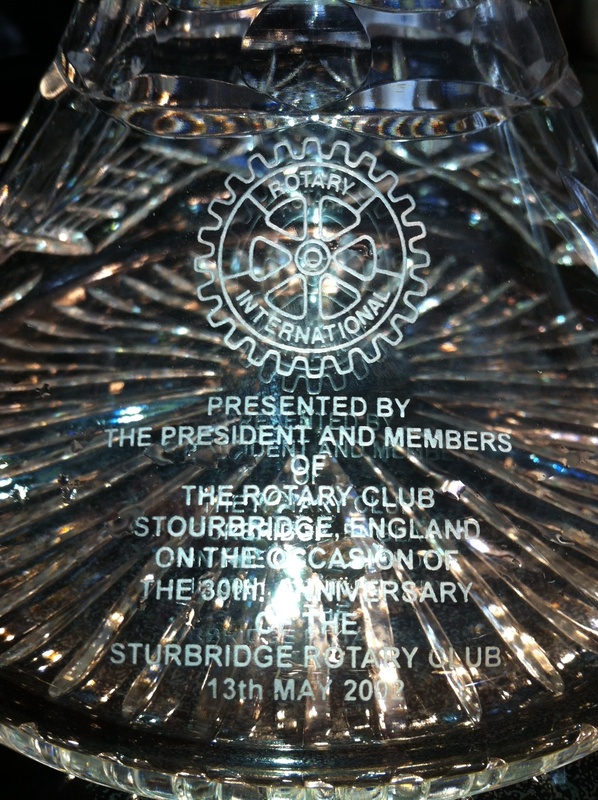 Close-up of engraving on Goblet – gift from Stourbridge – 2012. 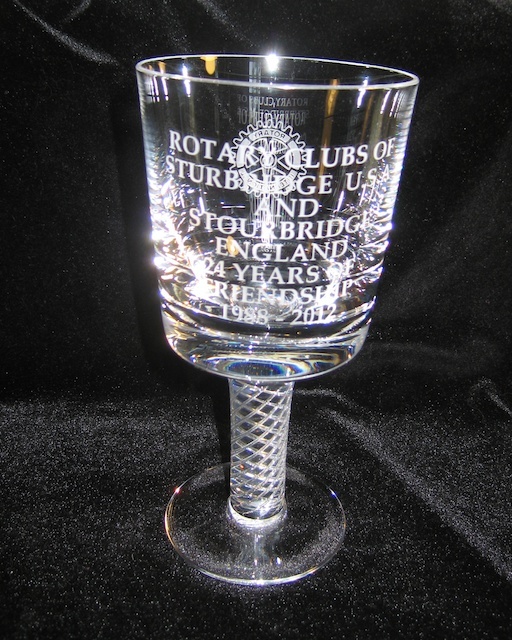 Sturbridge Pottery wine cooler and two goblets gifted to Stourbridge in 2012. 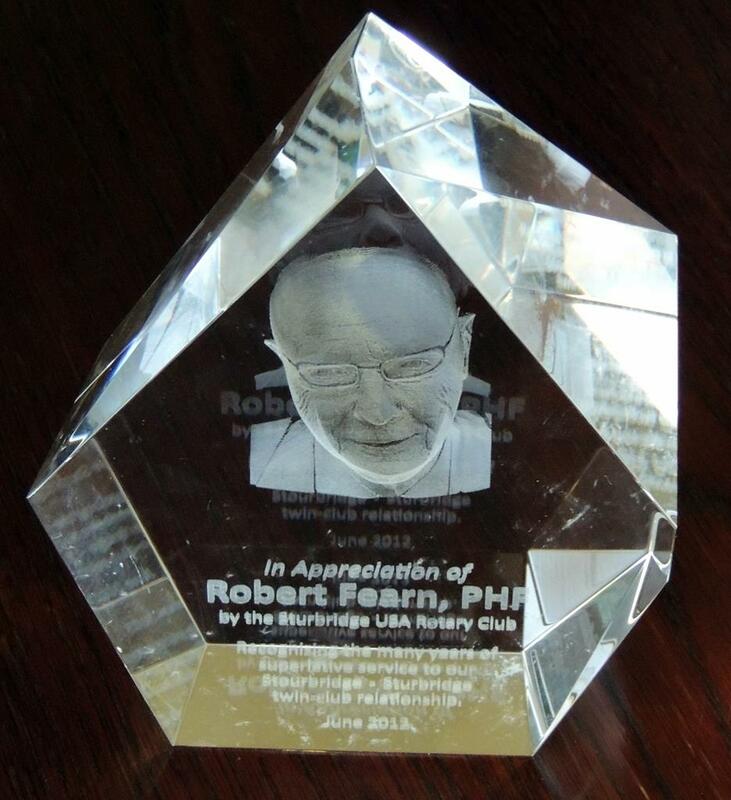 A personal gift to Bob Fearn (UK) in recognition for his many years of service to the Twinning relationship – 2012. 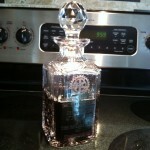 This entry was posted in International News by Pauline White. Bookmark the permalink.